Australian Football Sri Lanka continues to build on their dream to establish the game of Australian Football in Sri Lanka. Following on from their previous visits to Sri Lanka where they ran clinics and formed a representative squad ahead of the 2017 International Cup, and again visiting later in 2017, the Fonseka brothers are back in Sri Lanka. Accompanying them on the AFSL Annual Tour 2018 is the Essendon Football Cub captain Dyson Heppell and his brother, Essendon's 2018 VFL Best and Fairest winner Aaron Heppell. The tour is sponsored by AFSL. The crew spent the past few days finding their feet on the ground in Sri Lanka where they will spend 2 weeks networking with strategic individuals and organisations, promoting Australian Football and running clinics to help introduce the game to the locals. Below we hear the thoughts of the Heppells on the tour so far. 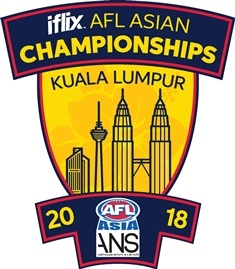 As part of the lead-up to the AFL Asian Championships in Kuala Lumpar next month, World Footy News will be presenting information and backgrounds on some of the teams headed to the event. This article features player profiles courtesy of veteran Chinese national footballer, Zhang Hao. The following profiles are or the eight Chinese nationals who will be playing for the Reds next month as the Chinese team prepares to take on the best in Asia and flex some muscle. 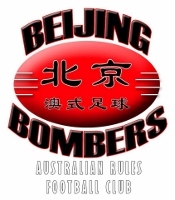 The game is expanding at an exciting rate through the clubs based in Beijing (Bombers), Shanghai (Tigers) and the teams of the SCAFL (South China Australian Football League) centred around Guangzhou (Guangdong Province), Hong Kong and Macau. Ask any red-blooded footy follower in either Shanghai or Beijing what is the biggest match in China, they will most likely NOT mention the AFL clashes between the Gold Coast Suns and Port Adelaide. The Holy Grail in China is still the historic China Cup. 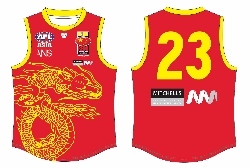 For years, the Shanghai Tigers and the Beijing Bombers have contested the cup for the bragging rights as the best Australian Rules football team in China. Last weekend, the latest instalment of the China Cup was played in Beijing. Once again it was the Shanghai Tigers victorious over the Beijing Bombers, holding on in a tight match to win the battle by just two goals. The finalscores saw the Tigers 10 12 72 down the Bombers 9 6 60. The victory ensures that the China Cup remains in Shanghai until 2019 when the two clubs lock horns again.